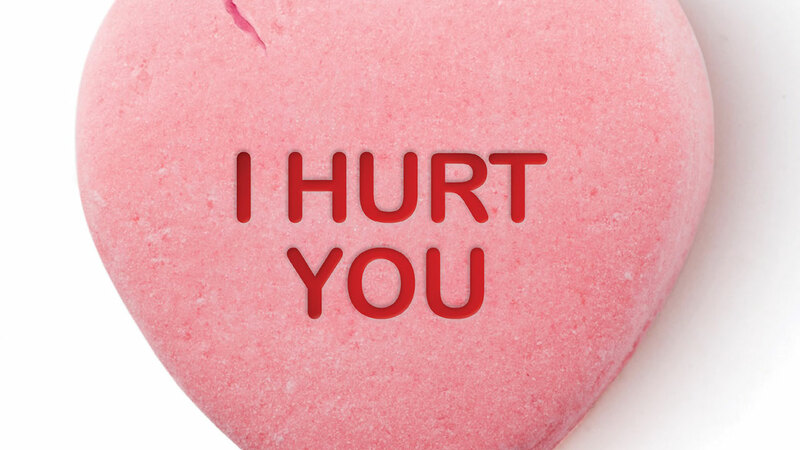 Here's a jarring disconnect—hearts and flowers, boxes of chocolates and hand-written love notes mixed with threats and violence. 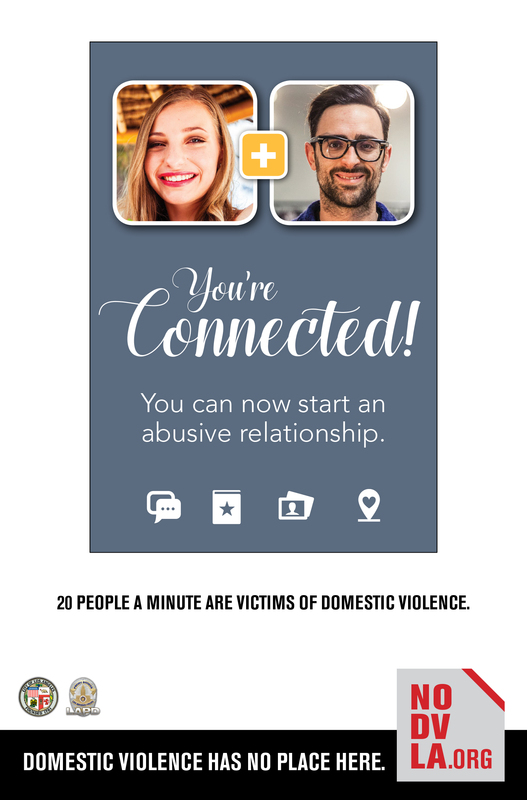 A new outdoor campaign from the Los Angeles Police Department and mayor Eric Garcetti's office uses a series of well-known romantic tropes as a stark backdrop for a message about domestic abuse. One billboard is covered in bridal lace with the phrase, "You may now hit the bride," written in wedding invitation-ready cursive. 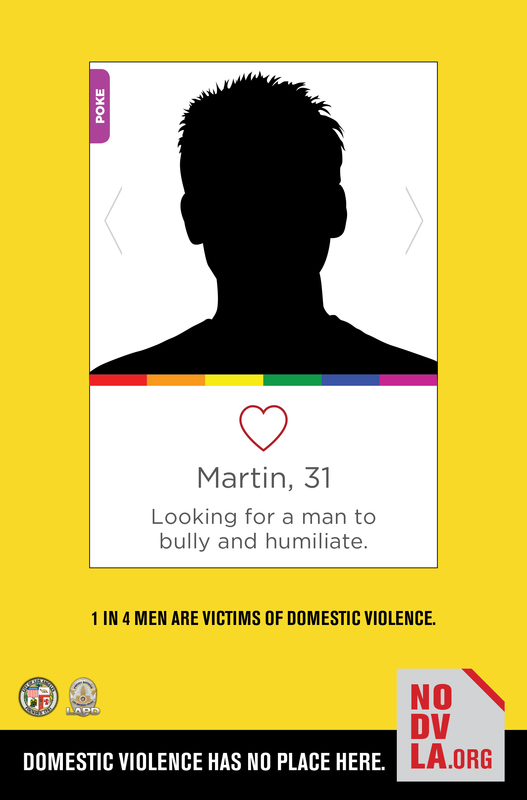 A Tinder-like image decorated with a heart says that Martin, 31, is "looking for a man to bully and humiliate." 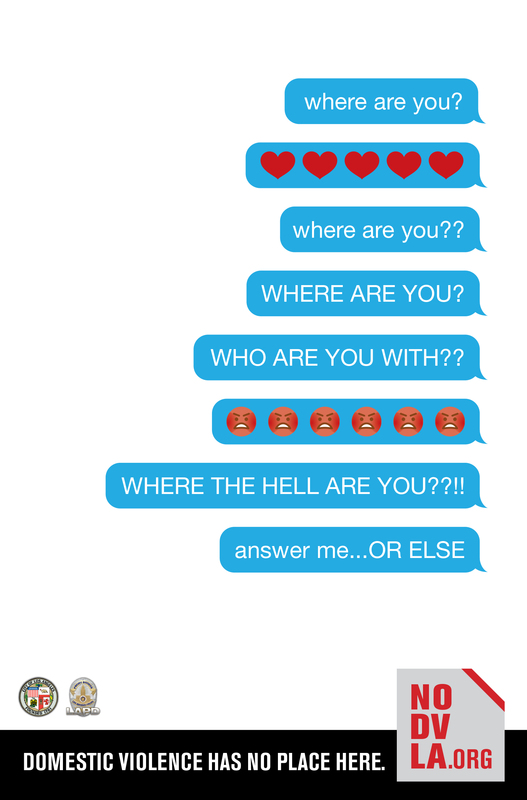 A stream of smartphone text messages go from heart emojis and sweet check-ins to the controlling demand, "Where are you?" 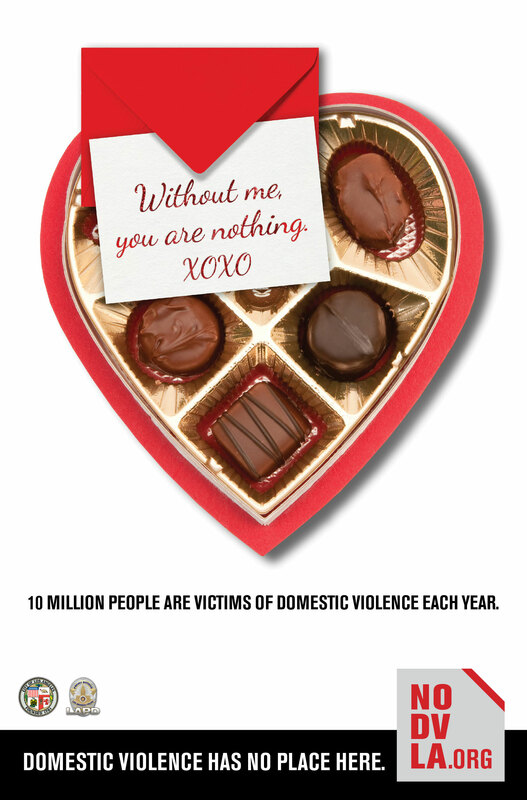 "We've seen a lot of domestic violence awareness campaigns depicting bruises and battering. 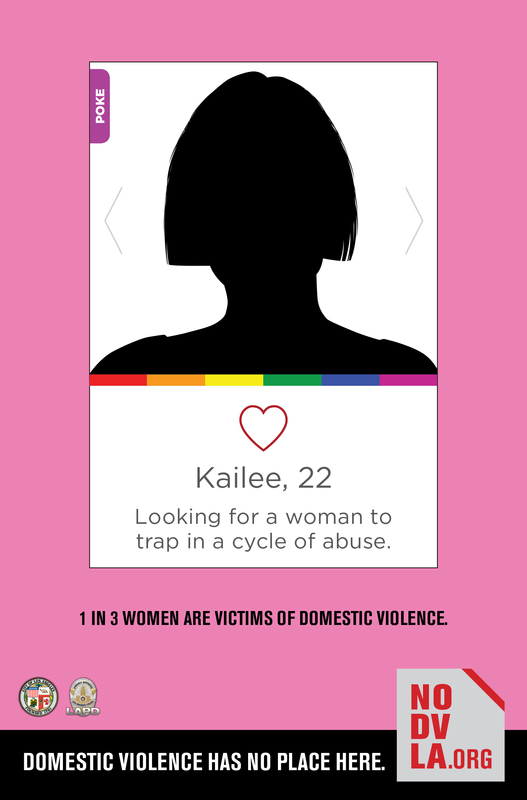 Our question was: What else does domestic violence look like?" says agency creative director Sariah Dorbin. "Well, it certainly doesn't look like love." 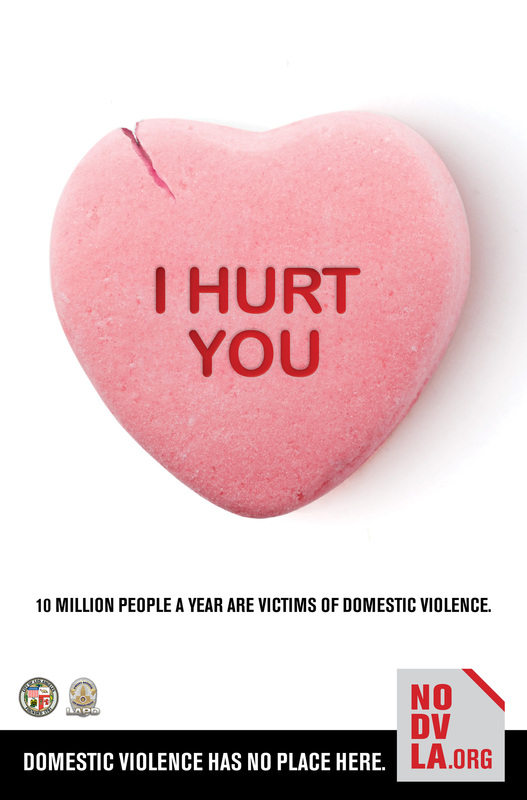 The campaign, launched for National Domestic Violence Awareness Month, appears in English and Spanish on transit benches, bus shelters and billboards around L.A. with the tagline, "Domestic violence has no place here."